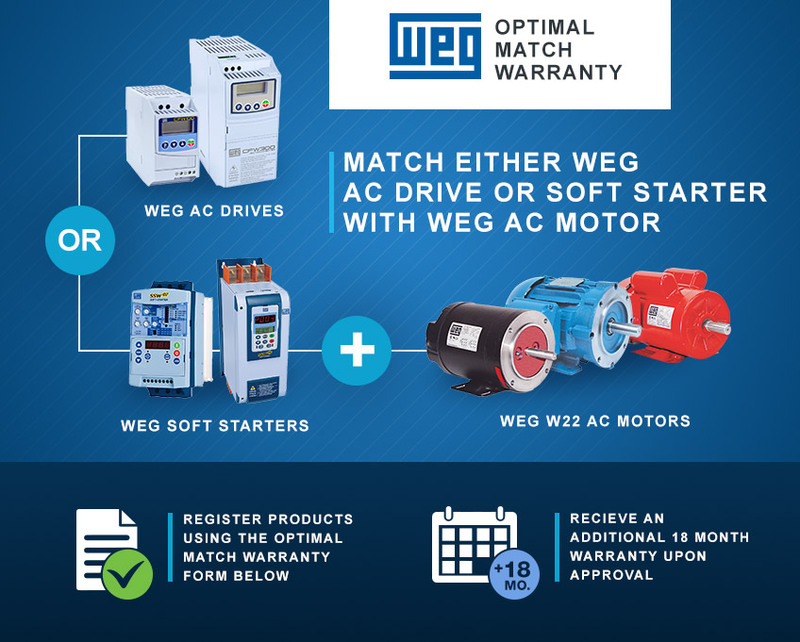 WEG Optimal Match Warranty is a thirty six (36) month warranty available when a WEG low voltage motor is applied with a WEG low voltage drive or soft starter. In order to qualify for this warranty, the products must be registered and approved by WEG’s warranty department using this Optimal Match Warranty form. This offer is only available in the US. 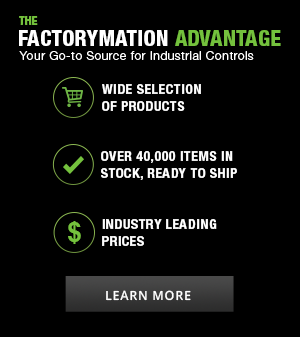 When the drive or soft starter is invoiced on the same date as the motor, the Optimal Match Warranty will be eligible on the invoice date, however the Optimal Match Warranty request (this form) must be sent within 180 days of purchase. • The Optimal Match Warranty shall be started from the first invoice date (Drive, Soft Starter or Motor). • The Optimal Match Warranty request (this form) must be sent within 180 days from the date of the later product purchase. • The dates of the original invoices of both products cannot be over than 90 days apart. • Maximum warranty period will be 36 months total from the date of the earlier original product invoice.